Ready for Some St. Patrick’s Day Romance?! 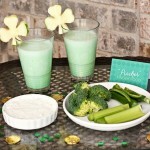 This lucky celebration is super easy, fun, and can be pulled off in a jiffy! 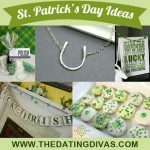 We are giving you a ton of ideas to make your spouse feel super lucky today! Happy St. Patrick’s Day!!! There are a few reasons I love this holiday! #1) I can pinch my hubby as often as I want, #2) I can make green foods, and #3) I can try my luck without judgement! I know you all love it for some of these same reasons, too! St. Patrick’s isn’t just for the kiddos anymore! Today I am going to help you make your sweetie’s day LUCKY! This lucky celebration is super easy, fun, and can be pulled off in a jiffy, you’ve got this! We are giving you a ton of ideas (this was a diva effort, thank you ladies! 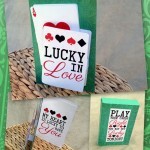 ), use one, use a few, or use a lot, either way your spouse is sure to feel lucky today! *a penny with the date that you met, started dating, or got married, express how lucky you were to meet them or that they are all the luck you need. *a gift with a note about why they are your lucky charm, 4-leaf clover boxers to wear throughout the day, or a pair of socks that will be their ‘lucky socks’ from now on. *Put the “You’re My Lucky Charm” note with their breakfast that morning. And the “I am so Lucky to be Paired with you” note on some new socks in his sock drawer. You could even put the “Lucky Me to have YOU at the end of the Rainbow” note tied to some skittles in their lunch. 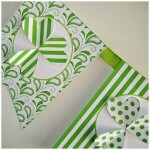 Find all of these printables on our post Our Love Shamrocks. 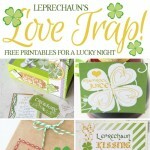 *Hide some good luck in their car (or in his office at work) or wherever with a Lucky Leprechaun box full of kisses…. *the movie The Lucky One, Lucky You, Just My Luck, or another movie about luck. Snuggle together while enjoying some of your own luck. *playing casino games, going bowling, or playing pool with just the two of you or hosting a poker night with a group of friends (you don’t have to use money). *having a potluck for dinner with a group or Irish themed dinner just for two. We’ve found a couple of cute ideas that would wow your guests- deck of cards as food labels or a dice treat box. *Pair this cute printable with some gifts for the bedroom…gorgeous silky lingerie, etc. *Give them the “It’s Your Lucky Night” lotto tickets at the end of the day to end the night. *Hide a love note for your lucky spouse to find. Use the “I’m Lucky in Love” and “Wanna get Lucky” love notes from this post and hide them in their pockets. Aren’t you just in love with these cute printables for your date night. Our amazingly talented Leah Aldous put these together for you, so let’s make her day lucky! Head on over to her site and tell her how awesome she is! 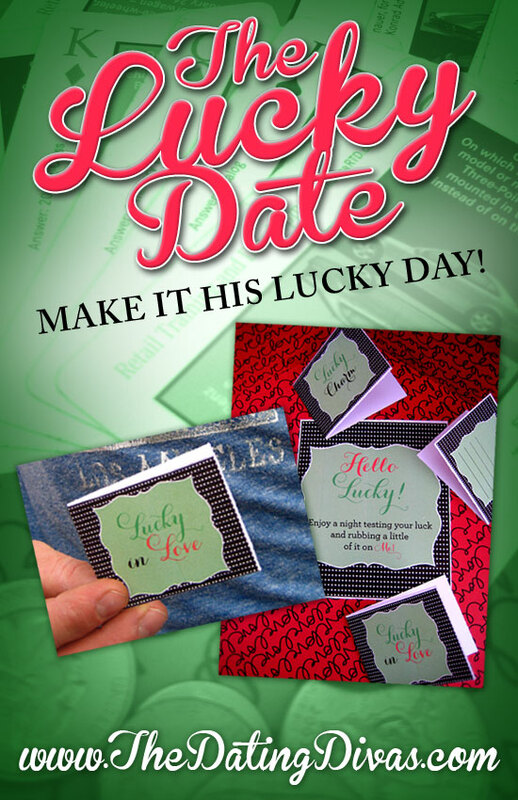 Grab your “Lucky” Date Printables and get the luck started! Follow directions on the printables to make the cards. Write a sweet little message on the blank lines on the back of the cards to make the cards even more lucky! My question is….How are you going to pick one or two or even three? I want to do all of these! lol Maybe my hubby will have one lucky day each month! What ideas did you choose? Do you have any other killer ideas to add to this list? Share your day with us by leaving a comment or two! Happy St. Patrick’s Day!!! Now go get lucky! Whew, that's a ton of ideas! I'm going to give you two more ideas for you to check out because I just can't help myself! Take a peek at Make It His Lucky Day and make your man feel like the luckiest guy in the whole world! Also check out a lucky post by Degree Search to learn a few fun things to do to increase your luck. This is great Michelle! If my man doesn’t feel lucky after this I’m not sure what will do the trick! This date night was a success at our home! Thanks for the great idea So!